We provide high end Corporate Salmon Fishing Events and business incentive fishing trips in Scotland. 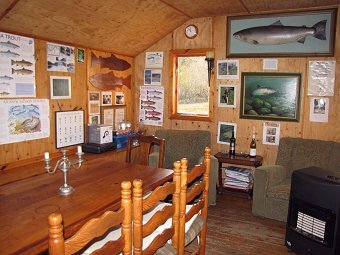 This can be for salmon or trout fishing with gourmet cuisine catering by the river or if you are working to a budget we can provide a full range of lower priced options. 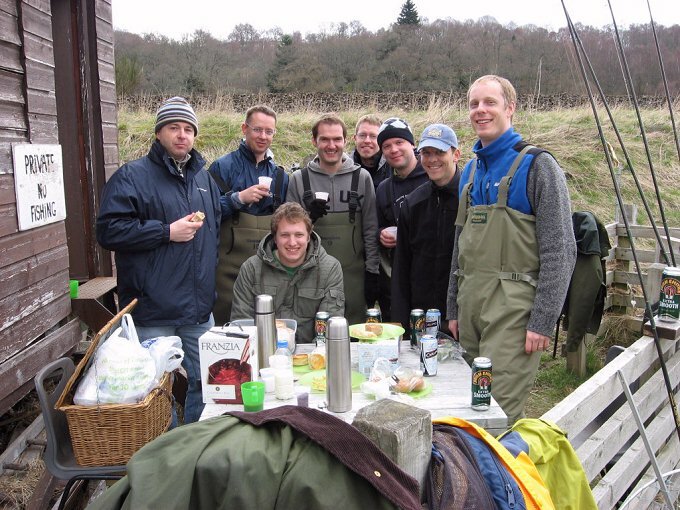 Our corporate fishing trips take place on high quality salmon fishing beats on some of the finest rivers in Scotland and our team of full time professional salmon fishing guides are well versed in providing prestigeous corporate salmon or trout fishing events. Our team of professional fishing guides are well versed in taking care of corporate clients and have a wealth of knowledge about the rivers and individual salmon beats that we use for our corporate fishing trips. 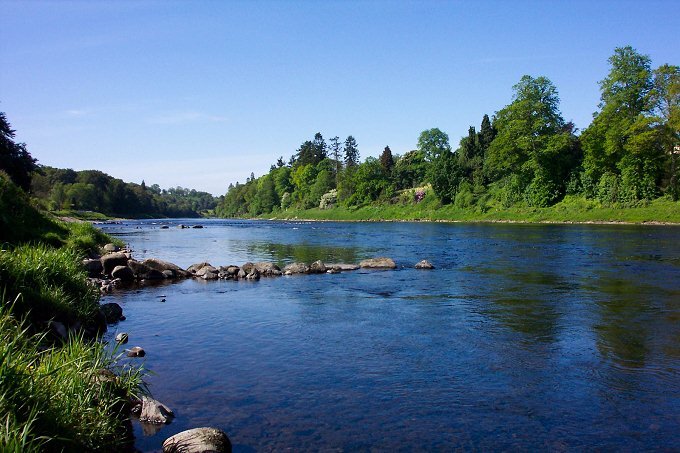 We have access to some of the best salmon fishing beats in Scotland on all of the major salmon rivers including the Tay, Spey, Dee and the Tweed. 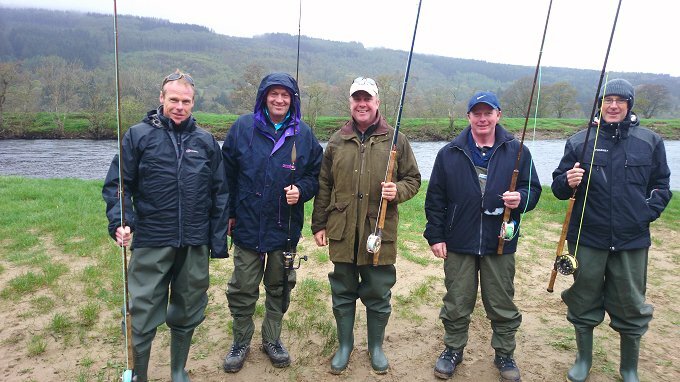 We also provide expert Speycasting tuition and fly fishing lessons for any members of your party who have not fly fished or been salmon fishing before. On the morning of your corporate salmon fishing day, we will tranport your party from the airport, railway station or any other pre arranged location to the river. A buffet style breakfast will be waiting for your guests on arrival, which will typically consist of a hot buffet of bacon, eggs, sausage, black pudding, tomatoes and toast. Porridge and a cold buffet of cereals, yoghurt and fruit juices, tea and coffee will also be available. Whilst your guests enjoy a hearty Scottish breakfast our fishing guides will prepare the fishing rods, tackle and life jackets ready for the start of the days salmon fishing. 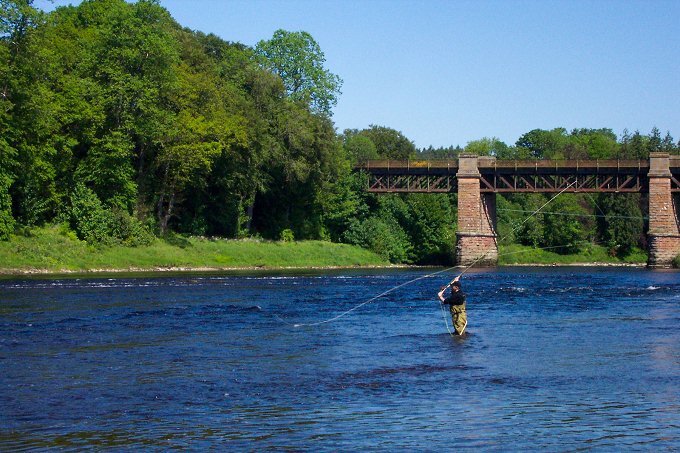 Guests will be assigned a stretch of river or to a boat to fish for the morning and those requiring Spey Casting lessons will spend the first part of the day with a professional instructor to learn the art of Spey Casting with a double handed fly rod. We should have any guests in your party, even if they are complete beginners to salmon fishing, casting proficiently within the first hour or so. Our fishing guides will be on hand at all times to offer advice and guidance and to assist in landing and releasing any salmon caught back into the river unharmed. We generally operate a catch and release policy on our corporate fishing days. We can arrange catering from a picnic lunch at the river or loch to a fully prepared gourmet meal prepared and served by local, professional caterers. Alternatively we can take you to a nearby hotel or restaurant to dine in. After lunch when all of your guests are gastronomically gratified we can return to the salmon fishing. Each guest will be given a different stretch of the river to where they were fishing in the morning so everyone has the opportunity of fishing a new pool and those who have been given tuition earlier in the day are given the chance to try out their casting skills in earnest. We will usually continue fishing through until about 5 pm, we are fairly flexible with our finishing times. Tea, coffee, cold drinks and other refreshements will be available in the fishing lodge throughout the day. If you are looking for a corporate event over a weekend or for several days, we can arrange a number of accommodation options for you in 3, 4 or 5 star hotels, close to where you will be fishing or a self catering lodge where we can provide first class catering for you. If you are working to a limited set budget, we can provide the same high quality salmon or trout fishing experience on a mid range but still very productive beat at a lower cost including a picnic lunch and refreshments by the river. Salmon Fishing Events, Trout Fishing Days, Fly Fishing and Speycasting Lessons. If you can provide us with as much of the above information as you can it will help us to to put together a more accurate quote for you. We can also arrange airport transfers from Edinburgh or Glasgow airports if you are flying into Scotland. The journey time from either airport would be just over an hour.